« Living Around Unhealthy People? Today Is The Beginning . . . . .
We’ve all heard it before. Today is the beginning of the rest of your life! I also added a new one I saw on Facebook this weekend. Today is page one of 365! Then when I saw this one above, I took it as a sign that I should remind myself that we’ve crossed into a New Year and it’s our chance to begin . . . again! As with the days past when I was a teacher and told my students at the beginning of every six weeks period – they all had straight A’s. 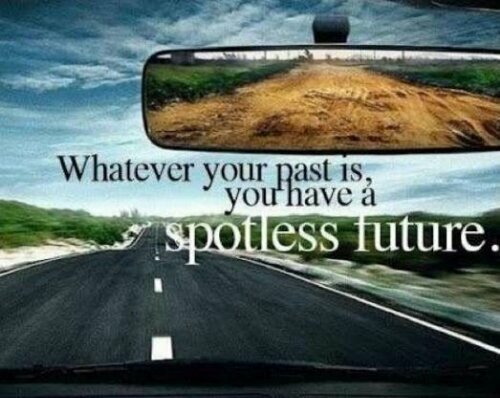 Whatever your past is, you have a spotless future. For me, 2017 will be a new year of reflection, learning and cleaning house – both literally and figuratively. I have nothing but freshly paved open road ahead of me. I am up for the adventure.